Most people suffer from some depression and anxiety at some point in their life. For clinical depression and anxiety, doctors nowadays use a combination of medication and therapy to resolve the issue. However, what is a person to do if he or she has depression or anxiety that falls short of a clinical diagnosis? Simply taking on a new attitude is not going to resolve the problem. 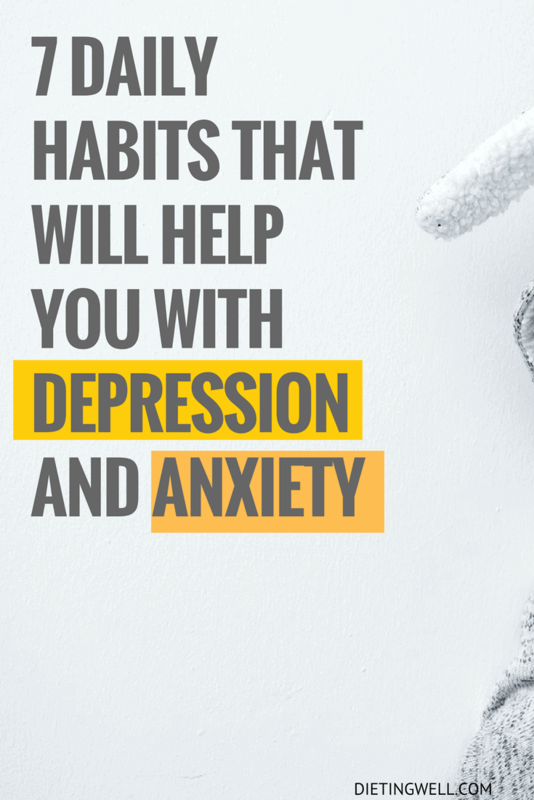 Thankfully, there are a number of things that you can do to help relieve your depression and anxiety. The following is a list of seven daily habits that can aid you in your quest to fight your depression and anxiety. 1. Be Careful about Your Diet. 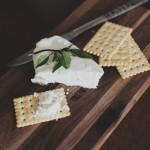 Despite the fact that there’s no specific diet that has been proven to relieve depression, maintaining a healthy diet may help you as a component of your lifestyle. It is a piece of simple wisdom that when your body is operating at its peak, your total state of being will improve. Also, there are certain foods which can have a positive impact on your mood and well-being. Our bodies make molecules that are known as free radicals. They can lead to various types of problems with your body’s systems. Your brain is particularly susceptible to damage from free radicals. You can diminish their effects by eating foods rich in antioxidants. These include berries, nuts and seeds, broccoli, spinach, and sweet potato. You can consult this article for more options. Carbohydrates are associated with the brain chemical serotonin. This chemical is involved with the regulation of our moods. Good carbohydrates can have a calming effect. Choose complex carbs rather than simple carbs. These are contained in fruits, vegetables, and legumes. Foods like turkey and tuna contain tryptophan. This substance may help you make serotonin. Good sources of healthy proteins include poultry, beans, and soy products. These are only a few of the many dietary suggestions that you can include in your daily regimen. For more information on diet and depression, consult this article. 2. Involve Yourself in Spirituality. One way of fighting depression and anxiety is to connect with your spiritual tradition or religion. Many times, we become depressed because we do not see how our lives fit into the big picture of things. We feel that our striving is meaningless and inconsequential with respect to the universe. The great spiritual traditions and religions have answers as to how our lives fit into the grand scheme of things. It would be a good idea to involve yourself in the more concrete rituals of your religion. Prayer is an exceptional tool for the relief of anxiety. Anxiety is many times caused by feelings of insecurity and fear from the many negative things that can happen to us in our daily lives. Prayer offers comfort by reaffirming trust in a higher power. It also puts that higher power in the driver’s seat with respect to what happens in our lives. Exercise is not just about keeping our bodies fit. People who exercise regularly do so because it gives them a great sense of general well-being. Studies show that exercise can relieve mild to moderate depression as well as antidepressants can. This is important because exercise doesn’t have the nasty side effects that antidepressants do. In addition to relieving depression, research also indicates that exercise can prevent relapses of depression. Exercise helps fight depression for many reasons. The most critical of these is that it helps with changes in the brain that can result in activity patterns that promote feelings of well-being. Exercise also releases endorphins, the chemicals in your brain that make you feel good. Exercise is also great as an anti-anxiety measure. It eases tension and stress and increases physical and mental energy. Any type of exercise is of benefit, but what will really help is if you pay close attention to the activity that you are involved in. Make an attempt to notice the sensation of your feet hitting the ground or the rhythm of your breathing. This diversion of your attention tends to relieve you of the worries that are running through your head. Meditation is such an effective therapy for depression that many people can stop taking their antidepressant medication altogether. Psychologists from the University of Exeter have published a study that indicates that meditation is better than drugs or counseling for depression. One of the main features of depression is that it dominates your attention. When you are sad or anxious, then negative thoughts dominate your attention. This puts you into a downward spiral that goes from sadness into deeper depression. Meditation prevents and breaks the spiral. 1. Sit upright in a chair with a straight back. Your spine should be about an inch from the back of the chair. Keep your feet flat on the floor. 2. Close your eyes. Focus your mind on your breath as it flows in and out. Observe your sensations without judgment. Do not try to alter your breathing. 3. Your mind will have a tendency to wander away. Gently re-focus your attention back to your breathing. The process of refocusing your mind is the key to this meditation. 4. Your mind will eventually become calmer. 5. Repeat this meditation every day for 30 minutes. You should keep a daily journal that includes everything that you have done during the day and everything that has happened to you. You should also record everything that you think and feel about what has happened to you and about life in general. Keeping a journal is useful for a number of reasons. First of all, it allows you to vent your feelings and frustrations in a way that does not bring any harm to you. Not everyone is blessed to have a confidant who will listen to them every day in a non-judgmental way. The journal is sort of like a friend of yours who will always be there to listen to all of your feelings and frustrations. The second reason that a journal is so useful is that it allows you to clarify your thoughts by expressing them in an explicit fashion. When we only think about our feelings and frustrations, we don’t necessarily get clear about exactly what they are. Writing them down forces us to clarify exactly what we are thinking. Finally, writing down our issues in a journal allows us to start to develop a way of dealing with them. It forces us to address the issues in an objective way. Fish oil is filled with omega-3 fatty acids. They are a major component that contributes to optimal brain chemistry. When you don’t get enough omega-3s, you will not transmit nerve signals properly. When your brain isn’t functioning properly, you can start to become depressed or anxious. A 2009 study found that higher consumption of omega-3s can reduce the symptoms of depression in women. One of the things responsible for mild depression is an imbalance of neurotransmitters. These are brain chemicals that can act as mood-enhancers by aiding in the transmission of of signals between brain cells. Antidepressants aid in the regulation of these chemicals. A better and more natural solution is supplementing with vitamins B6 and B3. There are many supplements which are known to have an effect on depression and anxiety on Amazon. 7. Make Sure to Socialize. Loneliness is an epidemic in the United States. Everyone knows that the human being is a social animal, but still may people do not socially connect with enough other people. Loneliness can be the cause of a lot of depression that people suffer. We all have the need to express ourselves to others and interact with them. There are various venues in which you can meet other people if you do not get enough interaction in your workplace. Your local library has events where you can meet and mingle with others. Also, on the internet, there is a new phenomenon called Meetup. Meetup connects people together with common interests to meet for events once or twice a month. This is a great way to connect with other people. What you must remember is that you are not going to meet anyone by just sitting in your house or walking around in public. You need to make a real positive effort to get out and meet new people. On the internet, there are also some sites where you can develop Platonic friendships or penpal relationships. 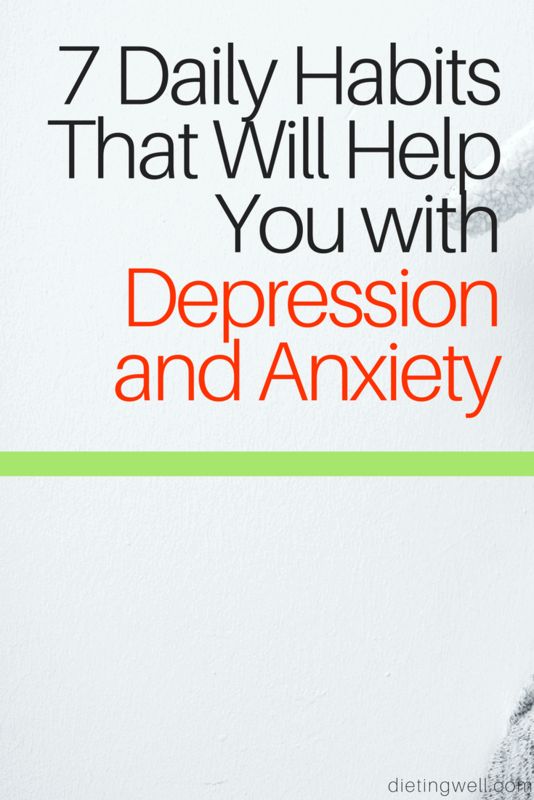 There are many things that you can do to relieve your depression or anxiety short of drugs and therapy. I have only mentioned a few of these things in this article. You can find many more strategies and daily habits listed on the internet that can be helpful in relieving your symptoms. Remember that any depression or anxiety problem that lasts for a considerable amount of time without relief will probably need some professional intervention.